Synopsis: From the #1 New York Times bestselling author of the smash bestseller Orphan Train, a stunning and atmospheric novel of friendship, passion, and art, inspired by Andrew Wyeth’s mysterious and iconic painting Christina’s World. 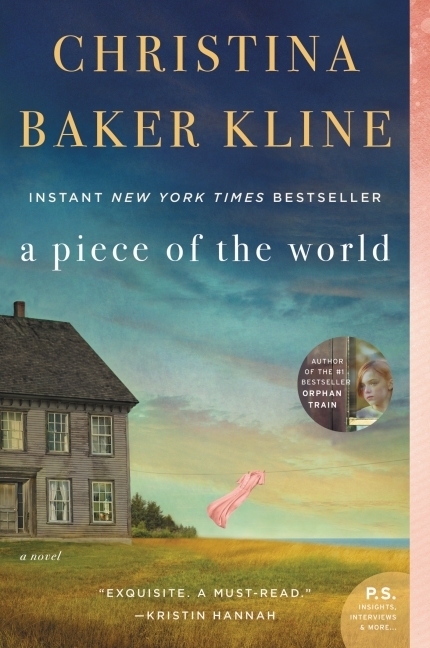 I LOVED Orphan Train so I jumped at the chance to read this new title by Kline ( I have yet to read any of her backlist). As a museum curator, I like art, though am super picky about what I enjoy and seek out when I’m visiting museums on my own. Modern art is something I do enjoy and the work of Andrew Wyeth is quite interesting to me, especially since so many of his great paintings were done in Maine, so I feel a regional kinship to them. I love the premise of this book- an imagining of a life and relationship between Wyeth and one of his frequently painted sitters, Christina Olson. It’s clear Kline did a lot of research on Olson and Wyeth, and the copious amount of googling I did while reading proved that she made sure actual facts were accurate and her creative spin on other aspects of Christina’s life were not far fetched or unbelievable. I also think the book is a bit of a story of life in Maine as well- the descriptions of the seasons, farming, fishing were so beautifully written that I felt Kline was making the place another character too. I especially loved the references to ice harvesting as it something that was a big deal in New England that people often forget about ( I also did a lot of research on this for a previous job project). What kept this from being 5 stars? I didn’t love the back and forth timeline between Christina’s back story and the current time period of the 1940s with Andrew Wyeth. I can see why the author used this technique as a way to build empathy and layered understanding for Christina’s life, but it didn’t quite work for me. Overall, I would definitely recommend A Piece of the World. A lot of these things I already do, especially #1 and #3. I am a saver and planner by nature and I think my budget reflects that. I keep a pretty tight system- I bring lunch everyday, I contribute to my 401k, but some in savings, have eliminated credit card debt. But what I like about Mecham’s system is that he sees money not just as a numbers system to be conquered, but that the money has to reflect priorities for life. Essentially, we should all ask ourselves: what do I want my money to do for me? For me, I want to live debt-free. I want to have enough dollars to cover my expenses so that I can live a meaningful life doing work that is fulfilling and challenging, without having to worry about my bottom line and bills every month. This book made me realize I need to be more on top of where the actual dollars are going and pay attention to that. For example, I looked through my spending after reading the book and realized that 2017 had way too much shopping in it. I really appreciated Mecham’s chapter on budgeting as a couple. Q and I have very different methods for managing our money, especially since Q is almost entirely a cash only guy. It’s taken us awhile to get our act together as a couple financially and to find a system that works for us. Mecham suggests monthly budget dates to go over spending and priorities. I think this is something I’ll try with us, though we’re pretty open about money and spending after 5 years together. I’d definitely recommend this book if you’re trying to move forward with financial goals and figuring out a system that works well for you and your family. 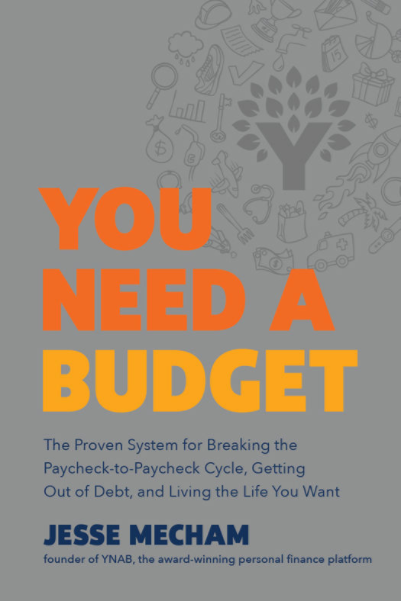 I appreciate that Mecham and the book isn’t a big advertisement for his software ( which has a free trial period, but after there is a usage fee), and that he uses the book as an opportunity to educate about the principles of budgeting in an easy to understand and useable way. I think there are so many complicated budgeting ideas out there it can often feel like you need to be an economist to understand them, but Mecham’s approach makes sense to even the most mathematically challenged like me! 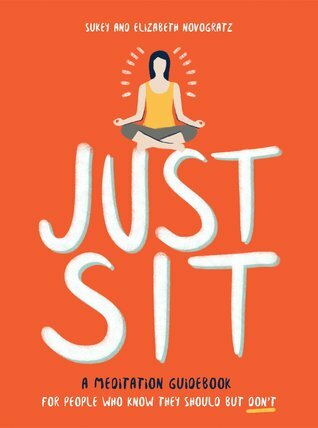 Written for the many, many people whose schedule or skepticism has kept them from trying meditation, Just Sit is an approachable and visually engaging beginner’s guide. Assuaging fears, answering questions, and providing real-world information to demystify the process, Sukey and Elizabeth Novogratz provide a hands-on look at what meditation really is, what is does, and how to do it. The authors make clear that meditation doesn’t have to be complicated or follow a specific protocol. The most important part, to “just sit,” can lead to a lifelong practice, tailored to anyone’s lifestyle. One of my 2018 goals is to integrate meditation into my everyday life. I meditate as part of my yoga practice, but haven’t succeeded in making it happen on other days. Several times I signed up for the Oprah/Deepak Chopra 21-day free guided meditation apps, but haven’t ever successfully done more than a few days of it. So when this book came my way, I was interested. The title pretty much speaks to me directly- “a meditation guidebook for people who know they should but don’t.” That’s actually pretty much a bumper sticker for so much of my life! The book has lots of great illustrations,infographics, and helpful tidbits. It’s super readable and usable as an actual meditation tool, making it easy to flip to the sections you need and find what you want. I know it’s something I’ll refer back to in years to come, especially with some of the later chapters like preparing/packing for meditation retreats ( I’d like to do a yoga/meditation retreat at some point), mantras, and different meditation techniques. I appreciated the very logical way the authors present their case for meditation- why it’s good, what it can do for you, and easy ways to get started. It was surprisingly “hard” to sit for three minutes! Also, it was quite laughable with this the first week I was trying to meditate because I scheduled it into my phone and set an alert so I wouldn’t forget. When it went off, I was in the middle of the grocery store with no zen in sight! This book contains an 8-week plan that I re-started this week– 2 days down and so far so good! 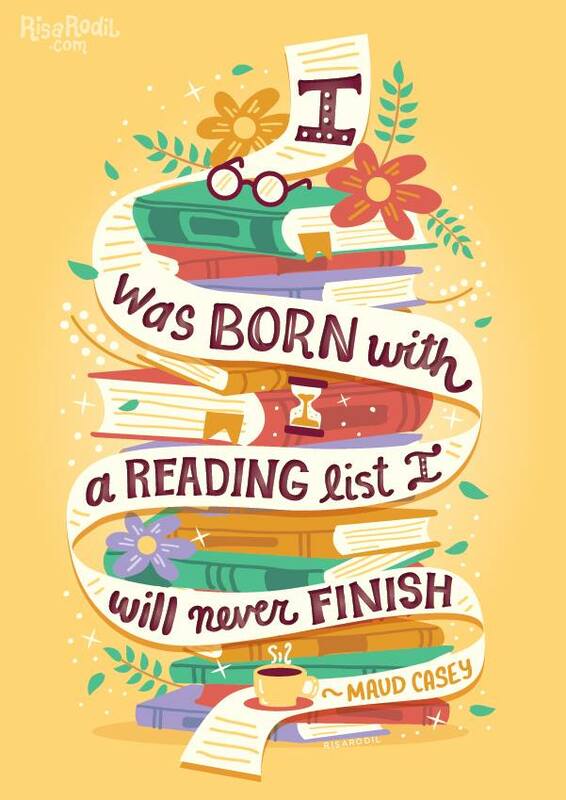 I read 79 books. This includes audio and physical books. I originally set a goal for 60 books at the beginning of the year, but by September, I was about to meet that goal, so I pushed it to 75. I thought I was going to get to 80, but the flurry of holiday movies and plans the past few weeks kept me from reading as feverishly as past months. The longest was Harry Potter and the Goblet of Fire at a whopping 734 pages. The shortest was 161 pages- The Crossroads of Should and Must. The best audio book was Truth and Beauty by Ann Patchett, a memoir of her friendship with poet Lucy Greeley. I also enjoyed Hungry Heart by Jennifer Weiner and Instant Mom by Nia Vardalos. Interesting to note these were all read by the authors– narrators make a huge difference in audio books. I “re-read” (though as an audio book) Anne of Green Gables. I haven’t done a lot of re-reading because there are so many books on my to- read list ( currently at 467- time to cull it again). This year I stretched myself outside of my normal reading genres to include more fantasy, romance, and YA. The Scrapbook of Frankie Pratt by Caroline Preston ( sort of like a graphic novel, except it’s like reading a diary/scrapbook- visually pleasing and interesting story). Overseas by Beatriz Williams: As a longtime Williams fan, I wanted to read her entire backlist. Even though many reviews of this book weren’t amazing, I devoured this book in a few days. It’s a romance with time travel, both of which are not things I normally enjoy, but this captivated me when I read it back in February. Prior to the internet and my love of Goodreads, I tracked books I wanted to read on a written list that I slowly crossed things off as I read them. I was mostly reading books I owned or were lent to me from friends. I bought them from bargain racks at the big bookstores, from used book shops, and other spots. My favorite for many years was buying hardcovers for practically nothing at Building 19, a now-defunct New England chain that had a lot of books that had small issues like an inkblot on the title page or a binding that was just off by a bit. The prices were too good to pass up ( seriously, you could get a $25 brand new hardcover for like $3) and I often went with my parents, and going to Building 19 together is one of my favorite memories with them as an adult. About 10-ish or so years ago, I stopped buying books completely and became strictly a reader from the library or my own shelf. This is mostly true today, though I’ll pick up a few a year that are used or written by an author I want to support. This book-buying history is important to note when it comes to my reading list, which as of this writing, stands at 445. If I did the math correctly, that would take me just about 8 1/2 years to finish reading if I read a book a week. 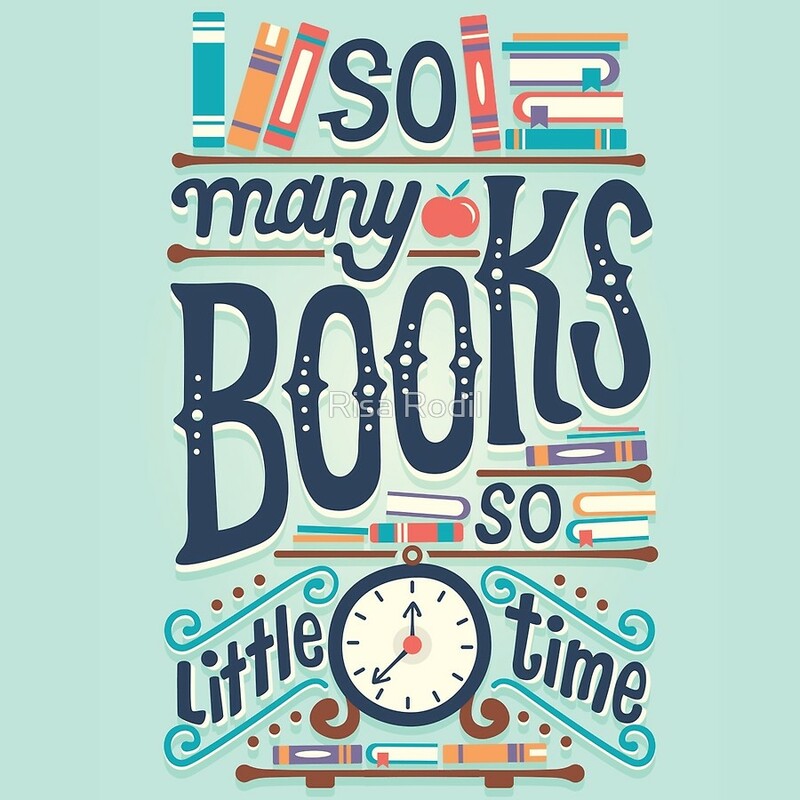 Depending on time of year, length and type of book, I can sometimes do two books a week, but it might be a stretch. This list though, is not the complete to- read list because awhile ago I decided to eliminate any book I owned. My thinking there is that I own it, so I won’t forget that I want to read it. Of course, the issue I seem to have is that even though I liked the book enough to buy it, I have some sort of block that prevents me from reading it as fast as a loaned book from a friend or the library. Maybe because I know it’s mine and will always have it, so it doesn’t feel urgent? I’m determined to really “read down” my owned shelf in 2018. Of course, I’ll never reach the end of my to-read list and that’s the amazing/exciting thing about being a bookworm. About two or three times a year, usually on a night when Q has chosen a movie I have no interest in, I sit on the couch next to him with my Goodreads list, and try to cull it a bit. 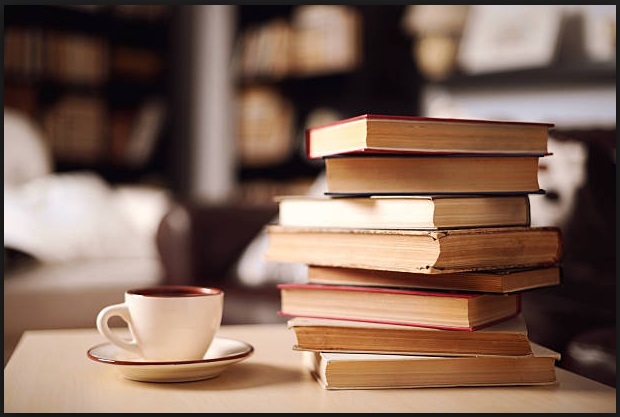 There isn’t a lot of method to my madness– I eliminate books that might be in a series so that the only one that appears on my to-read list is the first in the series. I try to take off books that I think I’d prefer on audio ( memoir and non-fiction mostly) and know I can get via Hoopla or Overdrive. I do keep a “favorites” list on Hoopla for a lot of those titles too, which is about 65 as of right now. Despite the size of the list, I love recommendations and as always, love to find new friends to follow on Goodreads! Marissa is a flight attendant whose marriage is strained by simmering tensions over race, class and ambition. Heading to her in-laws for their picture-perfect holiday family dinner, her anxiety is intensified by the knowledge she is pregnant from an impulsive one-night-stand. I always enjoy reading novels that are about family dynamics because they are always so fascinating and layered with interesting characters. This book does not disappoint in that way. Both characters that we get to know in-depth, Marissa and Adam, are deeply flawed, but fascinating. They aren’t entirely likable, but they aren’t depicted as horrible human beings either. Maybe it’s the cynic in me, but I always wonder about these “strangers meeting” novels where two people’s lives come together from a happenstance meeting. I don’t think I could ever meet a person and connect with them so well in a few minutes that I’d invite them to my Thanksgiving with family. A lot of the Thanksgiving family drama of this book reminded me of one of my favorite ( and one of the few) movies about Thanksgiving, Home for the Holidays. It’s a Holly Hunter movie from the 1990s where Hunter’s character goes to her family’s Thanksgiving in her hometown after many years away. It’s about love, family, and all the mess that comes on Thanksgiving. Fun thing about reading this book was I took it with us on our Vermont long weekend getaway to Brattleboro, so imagine my surprise when it turns out that Marissa is on her way to in-laws’ Thanksgiving right outside of the same place! Synopsis: A powerful and evocative debut novel about two American military nurses during World War II that illuminates the unsung heroism of women who risked their lives in the fight—a riveting saga of friendship, valor, sacrifice, and survival combining the grit and selflessness of Band of Brothers with the emotional resonance of The Nightingale. Probably not a shocker that I read yet another piece of historical fiction about World War II. This was especially interesting to me because of the undergraduate research I did on nurses during the war, as well as an exhibit that centered on the experience and World War II uniforms, belongings, and ephemera of one Army nurse who was the great aunt of my then roommate. There are a lot of novels centered on World War II because of how tumultuous and life changing the time period was- it’s full of interesting people and stories that should be told. 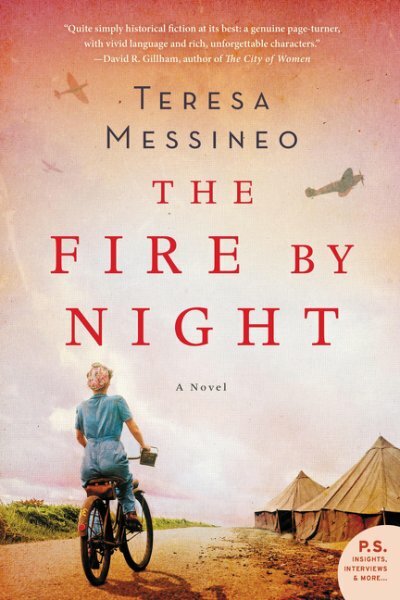 Fire by Night is a different spin on the World War II story not only because it’s coming from the perspective of the nurses, but also because it’s very detailed and well-researched, without being boring or too much like a history lesson. Fire by Night is told by Jo and Kay in alternating chapters, and even though they are separated during the war, their experiences as nurses is very similar. It’s a novel about their experiences, but also about their friendship. It’s the first book by this author and the reading guide and author’s interview at the back of the novel was quite telling about her writing and research experience. She spent 7 years (!) researching this book, and it’s obvious that she invested a lot of time in getting the details and information correct, which I greatly appreciate. I would love to know more about some of the people she interviewed and how much of their stories are reflected in the final text. The details of the war, on both fronts, is so well-done that my weak stomach could not take a lot of the descriptions of the various medical scenarios both nurses are involved with. This made me have to skim some of the book more than I’d like, but some of the descriptions were just too vivid for me ( there’s a scene with Jo in Germany during an operation to take out a soldier’s appendix that really made me feel gross). I wouldn’t say that’s a reason to skip the book entirely, as I enjoyed the characters and this new perspective on a unique experience during World War II, but just be warned that if descriptions of blood and injuries bother you, it’s not a book to read while eating a meal! I really do read a lot of historical fiction from World War II it seems. It’s such a fascinating time period to me as so much happens, not just in terms of the war and its effects, but with social and cultural change, especially for women. The many creative stories of World War II do not get old for me. 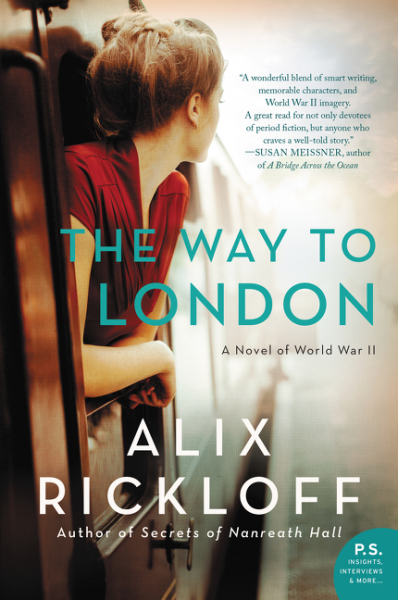 The Way to London is a great traveling story where the journey is not so much about getting to a particular geographic destination as it is about the journey to learn more about the main character of Lucy and how she becomes to know who she truly is as a result. The plot moves along fairly quickly; in fact, in the first few chapters, Lucy’s character has a lot of action and happenings that are quite dramatic. I found Lucy to be quite annoying and rude in the earlier part of the novel, which is clearly intentional by the author because as various roadblocks (both literal and metaphorical) come into the path of Lucy and her traveling companion, the orphan Bill, the reader can “see” Lucy’s slow realizations, watching her grow up emotionally and psychologically on the trip to London. The relationship between Lucy and Bill was enjoyable and made me think a lot about the movie Bedknobs and Broomsticks where the 3 siblings are evacuated to the country during the Blitz and end up with Angela Lansbury’s character, who over the course of the movie, becomes more charmed with the children. This is a bit different in that Lucy is aiding Billy to get back to his mother in London after being evacuated himself, but he’s definitely a handful for Lucy. It’s sort of perfect that Billy is such a little devilish prankster at times because I think it helps Lucy think more deeply about her own behavior and actions. There is a small bit of a love story with Lucy and a character named Michael, who was in the war but sent home after contracting malaria. It was a light enough bit that helped move the story along and keep it interesting, but I disliked how part of Lucy’s awakening and becoming a better person was related to her wanting to measure up to the standards of Michael and wanting to impress him. Overall, I definitely recommend if you’re looking for a quick read and enjoy the genre of World War II historical fiction with a strong female lead. A few months back I reviewed Maria Murnane’s novels Wait for the Rain and Bridges, both of which I enjoyed, so when the author got in touch about reading another one of her titles, I jumped at the chance. 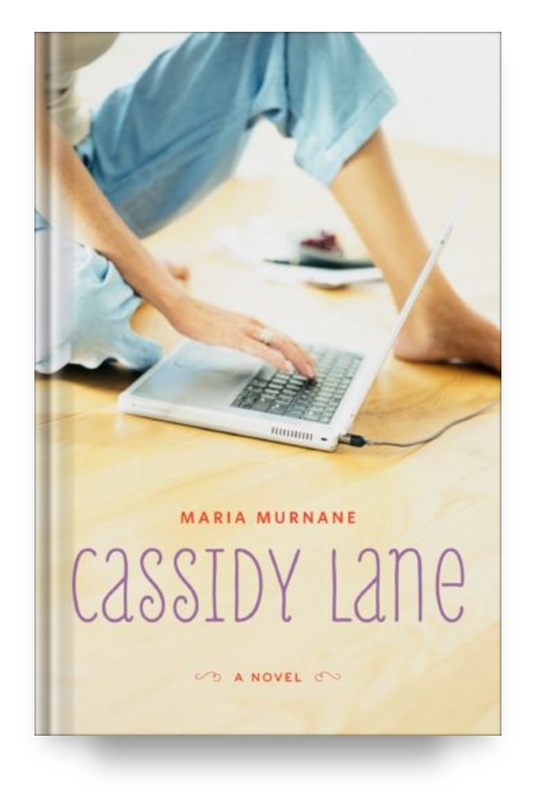 Best-selling author Cassidy Lane walks into her 20thhigh school reunion with several novels under her belt, but no date on her arm, and deep down she still feels like the smart girl no one asked to the prom. Then handsome Brandon Forrester confesses his teenage crush, and soon Cassidy finds herself swept up in a modern-day fairytale romance not unlike the tales she spins for a living. While their relationship blossoms, however, the new book she’s writing isn’t going as well, and for the first time in her career she considers crafting an ending that doesn’t end with a proverbial walk into the sunset. Contemplating the simultaneous reversal of her own romantic fortune and that of her protagonist’s is daunting, but maybe it’s time for both her writing and her personal life to take a new path. Or is it? If a book and its characters stay with you after you’ve turned the final page, I count that as a great reading experience. This book was the perfect, feel-good read for a weekend after a few personally stressful weeks. 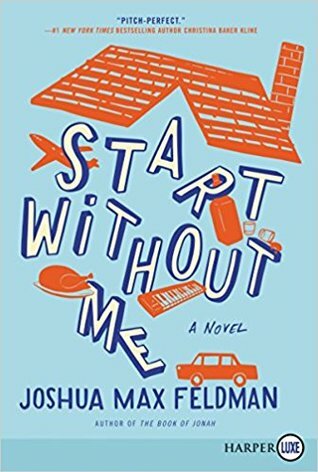 While I wanted more love story and interaction between the main character Cassidy and her love interest Brandon, the book was an enjoyable read. I especially enjoyed the honest, realistic view not just of romance and dating in this modern age, but also that the book didn’t have the stereotypical happy ending. I think with many books where there is a love story of some sort that it can often be the easy way out in terms of story resolution to just make the two love interests get together, putting aside any issues or differences that made up the main plot of a novel. Murnane doesn’t fall into that trap and knows her readers are smarter than that. Overall, I’d definitely recommend Murnane’s books and hope to read some of her other titles in the future, as she has a great combination of humor and heart. 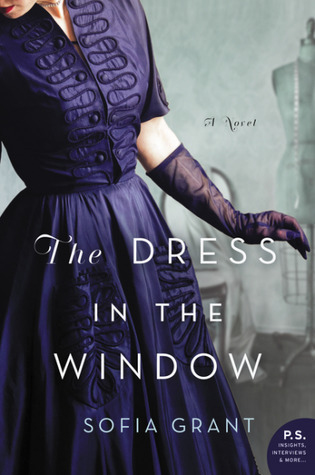 Synopsis: A perfect debut novel is like a perfect dress—it’s a “must have” and when you “try it on” it fits perfectly. In this richly patterned story of sisterhood, ambition, and reinvention Sofia Grant has created a story just right for fans of Vintage and The Dress Shop of Dreams. World War II has ended and American women are shedding their old clothes for the gorgeous new styles. Voluminous layers of taffeta and tulle, wasp waists, and beautiful color—all so welcome after years of sensible styles and strict rationing. At face value, this book has many things I enjoy– historical fiction featuring women during post-World War II period and fashion. It is essentially the story of 3 women trying to make their way in the world after losing their husbands/boyfriends during World War II: Jeanne, Peggy, and Peggy’s mother-in-law Thelma ( and a tiny bit about Peggy’s daughter, Tommie). It took me a bit to get into the story and to really care about the characters. I didn’t feel like a lot of the intrigue began until 150 or so pages in. 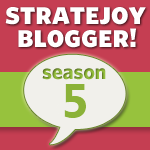 There were some aspects of the story that I thought would be bigger plot points, but then nothing came of them. I found so much of the story to be sort of sad actually, especially as the relationship between the two sisters evolved and soured. I thought the ending was quite abrupt– even though there was an epilogue, I think the final details of the story could have been woven into the main book. I thought the prologue was entirely unnecessary, as well as a lot of aspects of Thelma’s story. What I loved was all the references to fashion and the changing nature of clothing in America after World War II. This served as a great backdrop to the story lines of Jeanne and Peggy as it helped give some great context for their lives and changing roles as women too. Since fashion history is one of my interest areas and part of my day job, it was clear that the author did a lot of research into this time period of fashion history to get details correct, and really capture the moment when American fashion in the form of sportswear and off-the-rack/ready to wear clothes took off. Get your own copy of the book here!